As of press time, British Airways canceled all inbound and outbound flights to the two airports as of midnight local time Saturday. But the airline has already pushed the deadline once--they originally announced the cancelations would last until 6 p.m. The airline has indicated it has no idea how long it will take to fix the situation. The cancellations come at the beginning of a busy bank holiday in my global destinations, including the U.K> and are causing traveler headaches at many the world’s busiest international airports. Although British Airways assures passengers that there’s no evidence of a cyber attack, at least one British publication, the Daily Mail, has reported that customers heard a captain and gate crew tell passengers that the airline could be under cyber attack. 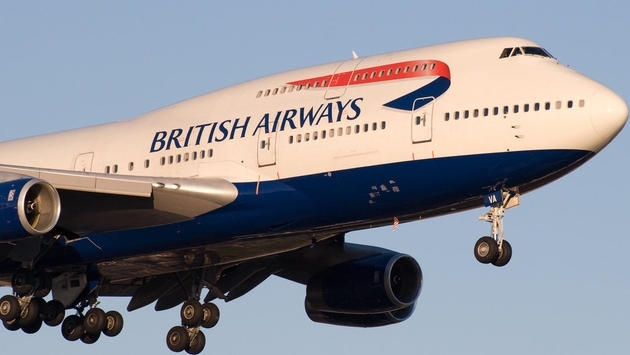 According to an article at India news portal, The Quint, the British General Trade Union has blamed the system failure on British Airways’ decision to outsource its IT operation to India in 2016, a sentiment which is being echoed by a number of Twitter users as well. Whatever the cause of the failure, the issue has kicked off a day of turmoil for passengers attempting to travel into and out of the U.K. this weekend. While the airline originally said it was canceling all flights from Heathrow and Gatwick until 6 p.m. local time, its pushing back of that deadline has caused further turmoil as more passengers have now headed to an airport already clogged with frustrated, angry passengers. According to some reports, passengers are being asked to wait in long check-in lines only to ultimately be turned away because agents couldn’t retrieve their records. Because airline personnel can’t retrieve passenger info, they are also unable to rebook passengers onto other flights. Others are reporting that is taking up to three hours just to leave the airport. Because the baggage system has also been affected by the outage, people are also unable to take their checked luggage with them when they leave the airport. The outage has affected parts of the British Airways main website, it’s airline app and even some of the in-airport information systems, causing staff to write airline updates on a whiteboard to keep the public informed. The airline has said affected passengers will be eligible for refunds on such expenses such as hotels, ground transportation and meals, but is distributing a letter asking customers to pay now and make a claim later. In a case of ultimate irony, the airline is sending customers to the airline website to make their claims. Some passengers have reported being stuck on a plane for hours before being allowed to deplane into the airport. Whether true or not, British Airways, which recently did away with free meals, has reportedly been selling food and coffee to passengers stuck on the tarmac as they wait for a gate. READ MORE: Wait, Are British Airways Baggage Handlers Peeing in Cargo Holds? British Airways is asking passengers to avoid London’s airports today and to check with the airline website before heading to the airport on Sunday. Breaking: British Airways is rehearsing before cliff-edge Brexit when government walks out from the talks.